According to a report published in 2017 by the Institute of International Education (IIE), a little more than 1 lakh students had applied from India to pursue graduate programs in the US. This includes those who are pursuing Master’s Programs across various disciplines including business and technology. 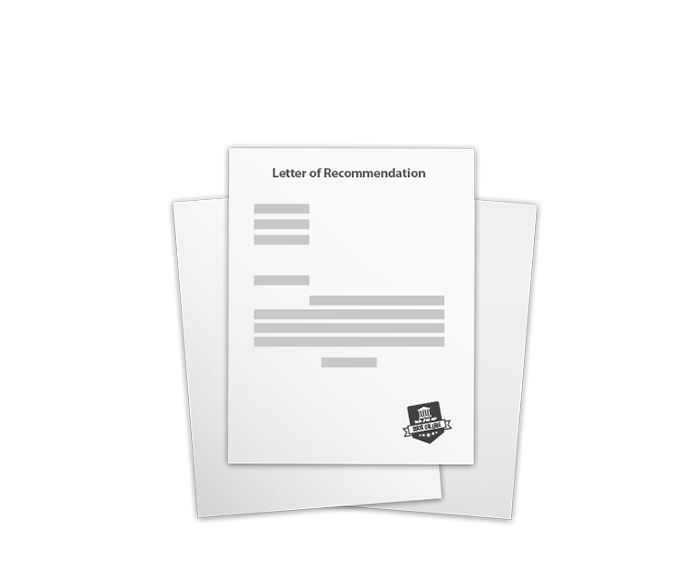 A Letter of Recommendation (LOR) is a vital part of the application process which can make or break a student’s chances of getting into an institute or securing a scholarship. It is a document that is a pivotal factor in your application – a weigh that must fit just right, or the scale may tip-off. It can play a critical role in helping to differentiate you among more than a lakh of applicants and have a favourable impact on your chances of getting admitted. The admission team of any institute looks for prospective students who have accomplished academic qualifications, impressive social skills authentic character and have the promise to succeed. It helps the admission team to have a holistic idea about your personal and professional journeys. How important a component of my application package is the LOR, really? The Letter of recommendation helps the university admissions committee to evaluate you as a person – in terms of character, conduct, behaviour and interpersonal skills. people to take forward the legacy of the institution. The LOR, as a document, demonstrates all these abilities of yours, presents your personality and traits better along with a validation of the above. The admissions committee views the letter of recommendation as a one-page view of your ideology and USPs that must be conveyed to them, without you having to speak about it yourself. LOR, is, therefore, an absolutely an indispensable document in your admissions journey! The LOR allows your professors to attest to your perseverance, dedication and passion. It is likely that your SOP mentions some projects or research work that your university may be unable to officially verify. In such a case, having a professor mention these in the LOR puts a stamp of credibility on it. To put it succinctly, an LOR is essentially a review of your potential, academic talent and dedication to your discipline, and as such, is key to making your study abroad dreams a reality. Also, a well-written LOR from the right person can compensate your GPA or GRE scores. Shriram Krishnamurthi a Professor at the Computer Science Department at Brown University has written about a student who got into an admirable graduate program in spite of having a score of 2.67 GPA. This remarkable student had written about the reasons that made his score special – he aced in classes that were hard and got bored in classes that weren’t. He explained this with several anecdotes and ensured that his letter stood out. Now that we know the importance of an LOR in your MS journey, let’s move on to the format of writing a good LOR. Want to know how many LOR's you should have for your profile? Talk to our Admissions Expert and get clarity!